Aaron Cribb (64) blocks as Gage Key (36) carries the ball for Hubbertville against Berry. 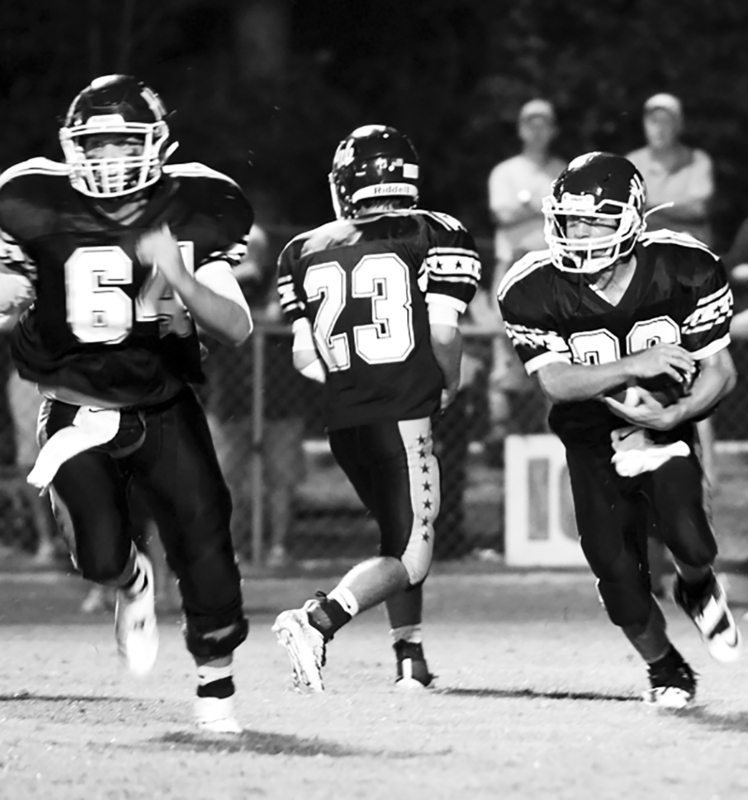 The backyard brawl between the Berry Wildcats and the Hubbertville Lions took place Friday night at Wiley Hollingsworth Stadium as the Lions hosted their cross county Region 6 rivals. In a show of unity the Berry Red Regiment Band joined the Lion Pride Band on the field for the presentation of the national anthem followed by team captains meeting at the center of the field to get the much anticipated game underway.